MIM UW – great place to work! Renata Czarniecka: - What made you choose the Institute of Informatics at University of Warsaw (MIM UW ) for your postdoc? Lukas Pastor: - I found out about MIM UW from my friend, who is a researcher in my field. She told me that prof. Marcin Pilipczuk and his team from MIM UW are very renowned in the field and very nice people. So I decided to apply for the postdoc position. I sent an email with my postdoc research project and CV and then I was asked for a Skype interview. After the interview, Marcin told me that I got the position. I found Marcin and his brother Michał Pilipczuk very kind, open-minded people, and of very strong in mathematics in general. What advice would you give for future postdocs at MIM UW? - MIM UW is a great environment for a postdoc, with highly skilled and talented researchers. Do not hesitate to ask around who would be interested in working with you. You will find many research mates! What have you gained from your postdoc? - I’ve learned a lot of things thanks to my postdoc. Marcin and the people I worked with during my stay, shared many different things with me that strengthened my knowledge in the area of the Erdős-Hajnal conjecture. The most important were the proof techniques around this conjecture. I was struck by the fact that each of those results are impressive, clever and yet so little is known about this famous problem. What’s the potential impact of your work? - It is hard to tell. We tried very hard and got very little advances but we all learned from this work. Furthermore, I had the opportunity to work with a French PhD student, Marc Heinrich, that made a research visit in MIM UW. It was really extraordinary experience. Together we developed a parameterized algorithms for a graph optimization problem. What is your direct goal right now? - My direct goal right now is to give high quality lectures, tutorials and practical work to my students and go deep into my research topics. - I would like to tackle some well-known, difficult and complex problems in graph theory with different people, including Marcin and the people I’ve worked with at MIM UW! I would like to try to solve some list-coloring problems. List-coloring problems are very hard and each result, even the smallest, needed hard work. Related to this kind of problems, I would also like to try to attack coloring problems in structured graphs, more precisely, graphs not containing long induced paths. What makes MIM UW a great place to work? - MIM UW is a great place to work because of high scientific level. Beside this everybody I’ve met here was very humble and happy to work with a young researcher such as myself. I also appreciate the help provided by the administrative staff at MIM UW. All of them were extremely helpful. In particular Ms. Ewa Puchalska who was super kind and supportive. She even helped me with things not directly related to MIM UW administration, such as renting a flat. Great thing of working at MIM UW was that there was no language barrier. Everybody at the faculty speaks fluent English, especially young people. How did you find Warsaw as a place to live in? -Warsaw is an interesting city. There is a lot of nice places to go out for a drink or eat. I was surprised by the good quality to price ratio in most of the restaurants I went to. Public transport in Warsaw is really well-organized so it was easy to travel around Warsaw thanks to the trams, buses and metro lines. Furthermore, Warsaw is a very safe city, even at night. All the things mentioned above make it a great city to live in for a young foreigner. Lucas Pastor obtained his PhD in Grenoble under the supervision of Frédéric Maffray and Sylvain Gravier. His research interests focus mostly on graph theory, more precisely structural graph theory and optimization problems in graphs. During the period from December 2017 to August 2018 he attended a one-year fellowship (postdoc position) at the Institute of Informatics, University of Warsaw, Poland. 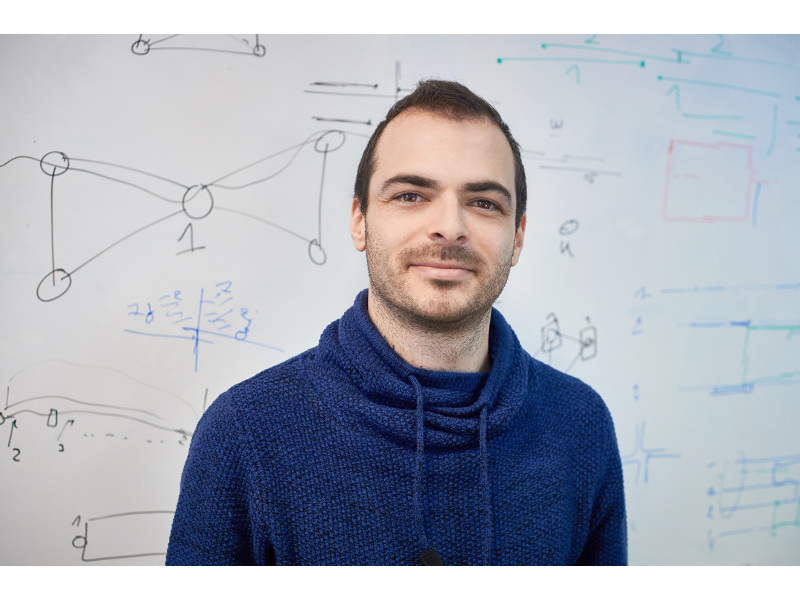 The position was supported by the ERC Starting Grant CUTACOMBS: “Cuts and decompositions: algorithms and combinatorial properties” led by prof. Marcin Pilipczuk. This entry was posted in Uncategorized by Renata Czarniecka. Bookmark the permalink.